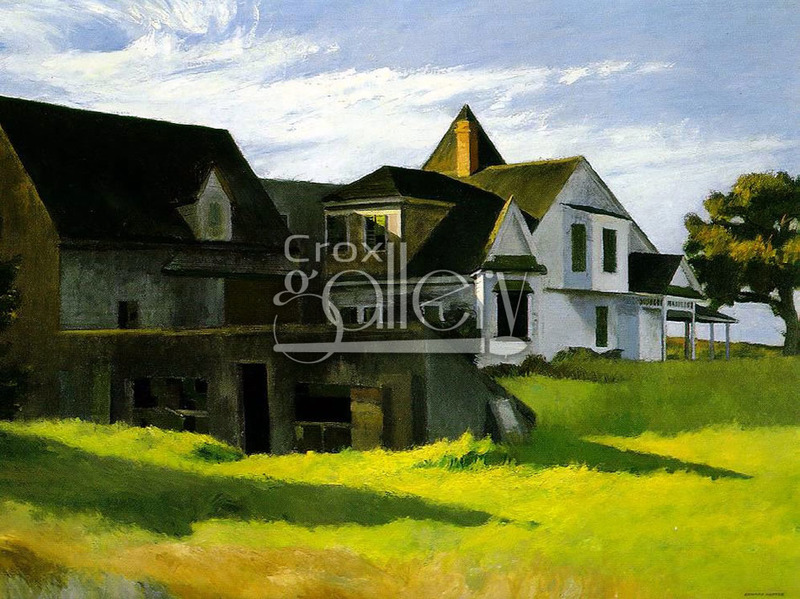 "Cape Cod Afternoon" by Hopper, Oil Painting Reproduction. This masterpiece depicts a sunset in Cape Cod, Massachusetts, USA. 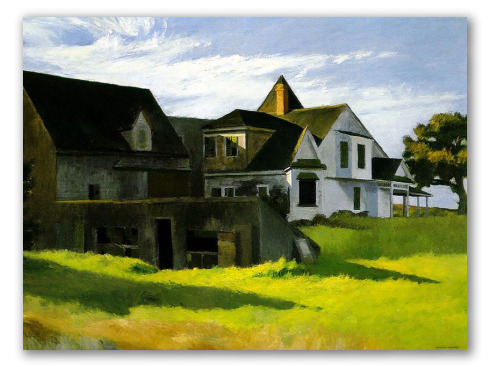 The artist, Edward Hopper, captures the warm tones of green and yellow reflecting the sunlight over a landscape of houses and vegetation.